Over the last few years, we have looked at several mobile professional workstations from Lenovo. 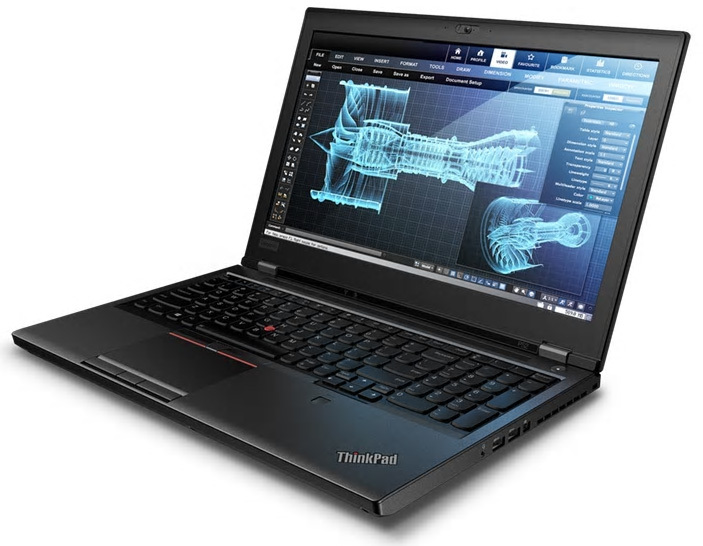 Today we have one of the new ThinkPad P series mobile workstations called the Lenovo ThinkPad P52 to take a look at. 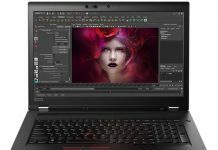 The ThinkPad P52 is VR-ready certified, and security features include Trusted Platform Module (TPM) and match-on-chip fingerprint reader, and facial login via the optional IR camera. The P52 geared at engineers and designers and users who need powerful performance in a mobile platform. 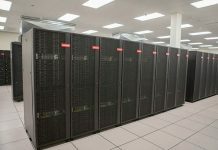 We have reviewed many Lenovo model workstations here in the lab and find the outward appearance of the P52 to be very much like the past mobile workstations Lenovo offers. The ThinkPad P52 provides the option of a 15.6-inch 4k UHD (3840 x 2160) touchscreen display. Colors are vibrant with 100% Adobe color gamut and 400 nit. 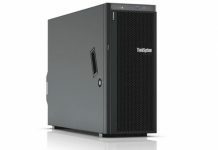 This workstation also offers an FHD option (1920 x 1080) with 300 nit. Our review sample came with the 15.6-inch 4K UHD (3840 x 2160) touchscreen display. 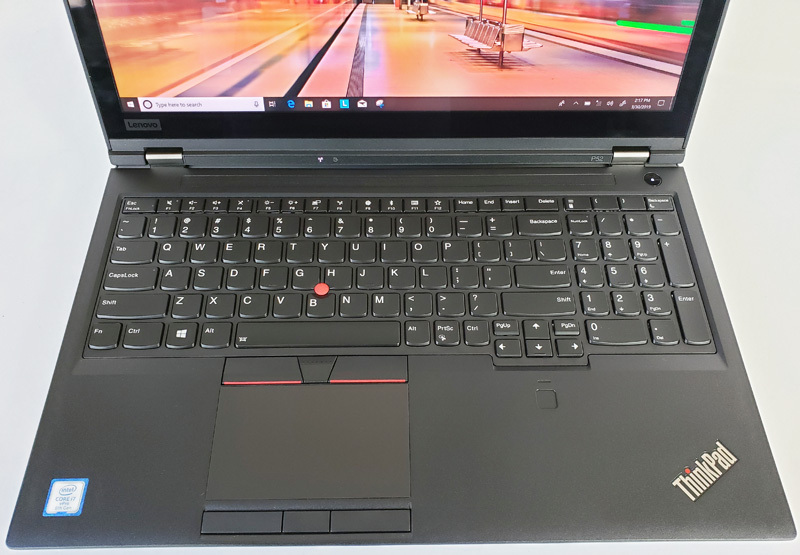 Security features with the new Lenovo Thinkpad include a Trusted Platform Module (TPM) and feature a match-on-chip fingerprint reader and facial login via the optional IR camera and Windows Hello. If you are accustomed to how Lenovo does user input via trackpad, the red nub, and the keyboard will all be familiar. One will notice that the trackpad is shifted slightly right. This is to accommodate a full num pad on the device. If you are an engineer, an accountant, or someone pushing IP numbers and inventory numbers all day as an admin, the num pad is a welcome addition. At the back of the P52, we find an RJ45 1GbE network port, HDMI port, 2x USB-C Thunderbolt 3 ports, and a charger port. 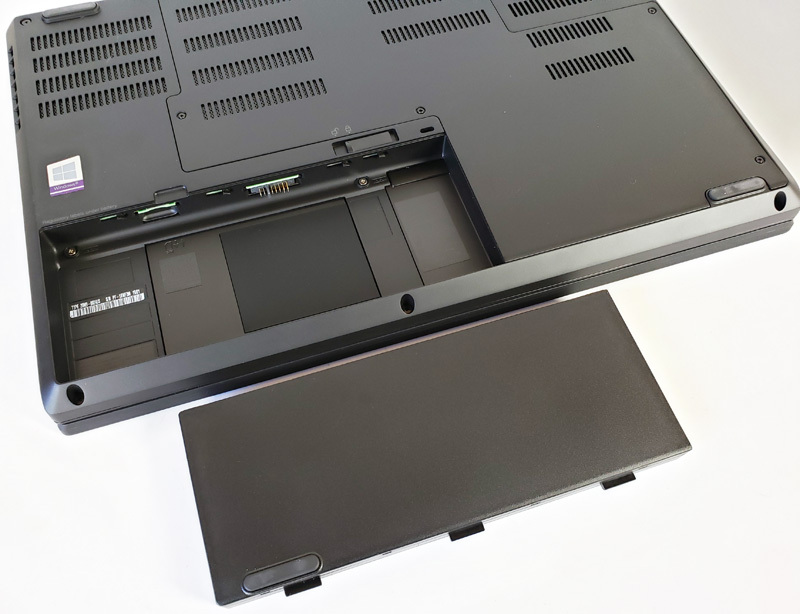 Many notebooks today use the rear of the chassis solely for cooling and hinge. That means power cables end up off to one side giving a 50/50 chance of that being the optimal side in any situation. Here, Lenovo has a great I/O setup. Moving around to the left side we see a USB 3.1 w/ power delivery port, 4-in-1 card reader (SD, SDHC, SDXC, MMC) and a Smart Card reader. Over at the right side, we find a Combo audio/mic jack, 2x USB 3.1 ports, a Mini DisplayPort 1.4 and a Kensington lock slot. Let us flip the P52 over and take a look at the bottom. Here we see the 6 cell, 90 Whr battery that snaps into place. Unlike many other notebooks, one can replace the battery. For our readers, that means you can get a spare battery for trips. One feature of Lenovo laptops we really like is how easy it is to get inside and service memory and storage. The back plate is screwed into place and removes easily. Here we have taken the back plate off and can see the locations of memory and storage compartments. 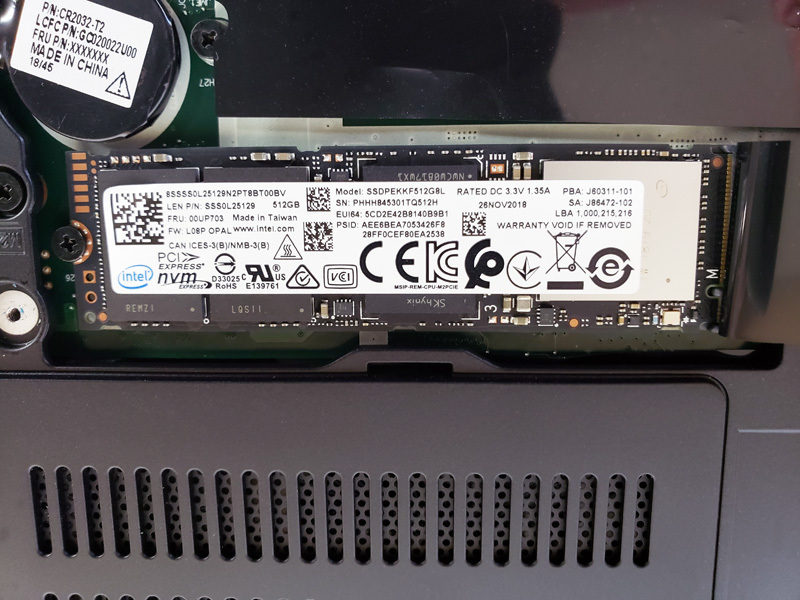 The P52 comes with two PCIe NVMe slots, and we have an Intel 600P 512GB M.2 80mm SSD installed for our OS drive. We also have a 1TB 7200 RPM HDD as our data drive. In 2019, we suggest just getting SSDs all around. A 2.5″ hard drive is now less dense than what SSDs offer. SSDs have no moving parts and are faster making them ideal for notebooks. Still, one can use a hard drive if that is desired. Lenovo has dramatically cleaned up the software that comes bundled on its laptops. 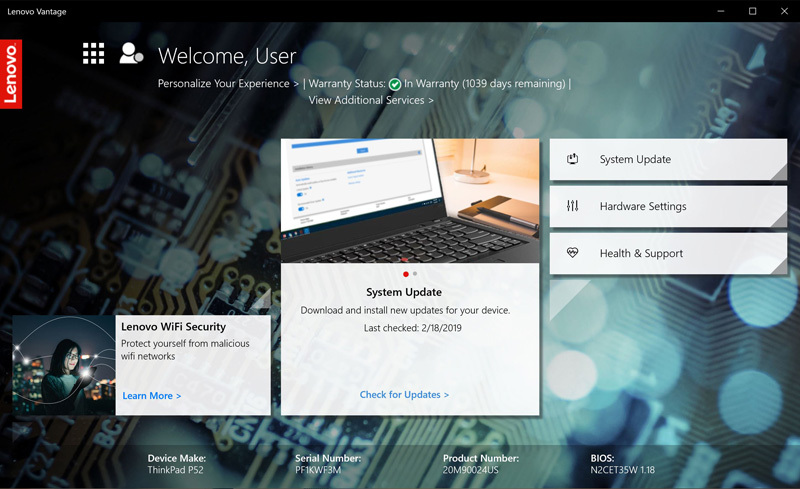 Our Lenovo ThinkPad P52 came with Lenovo Vantage which gives us system information and warranty support interface, amongst other features. Additionally, Microsoft Office 2016 Trial offer comes preinstalled. 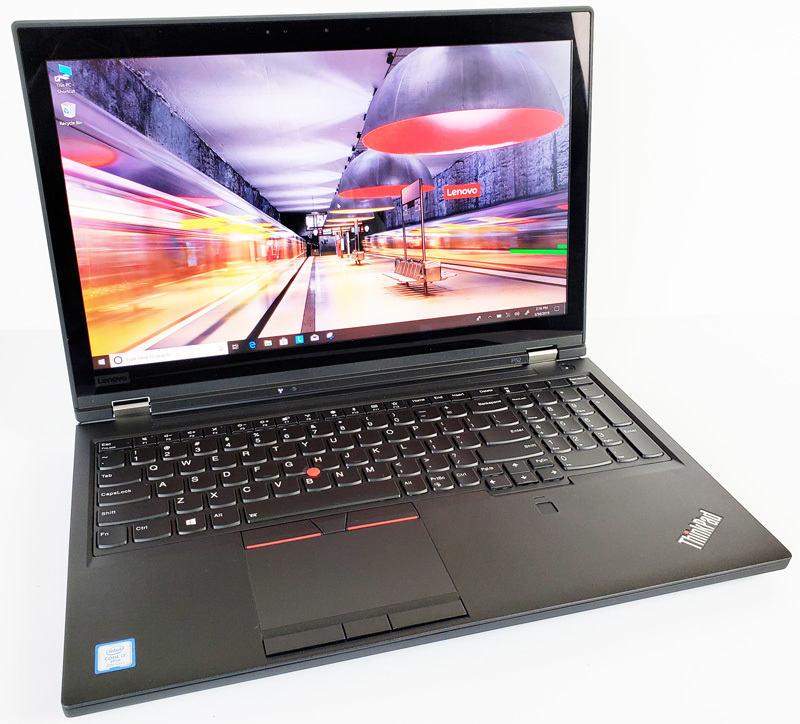 Next, let us take a look at the Lenovo ThinkPad P52 mobile workstation key specifications and continue on with our performance testing.